The Stag Company are sponsoring the 2013 BAHBAS! As The Stag Company it’s quite obvious that we’ll be constantly on the lookout for the best ‘talent’ in the area but soon enough it’ll be time to actually act professional for a second and exchange our morph suits for actual serious-people James Bond style suits (How do you do a tie again?) and judge a different kind of talent in the area... Why? Because we’re sponsoring 2013’s BAHBAS, or to give them their full name: The Brighton and Hove Business Awards, as The Eventa Group – our father company that comprises of us, Hen Heaven (our naughty sister that arranges hen weekends for all the future wives out there) and Eventa Parties – the place your boss will probably be booking your Summer or Christmas Party from! So, what does this mean? Well firstly it means that I have no chance of becoming ‘Outstanding Brightonian’ this year (I would definitely have been in the running though) as we can’t enter anyone as sponsors for the event… or conspiracy theories bigger than those about the Moon Landings would’ve started popping up. This is because we’re not just sponsors of the BAHBAS but also because our CEO – The Party King himself, Rob Hill is also a judge, so for categories such as The Business Growth Award, The Responsible Business Award and the big one of the night – the award for ‘Outstanding Brightonian’ (going to yours truly in a years’ time), Rob will be casting his eye over the nominees and playing a part in deciding who snaps up one of these prestigious awards. Sure to be a glitzy and highly important night that is taking place on 6th June right at the end of Brighton’s biggest attraction – the Pier, entries from businesses close on the 26th April 2013 so if you think your Brighton & Hove Business or someone working inside it is worthy of the award, be sure to head over to BAHBAS site and submit your entry. Now wearing this suit is feeling a little bit weird, so if you could - click here to give us something else to do… thanks. 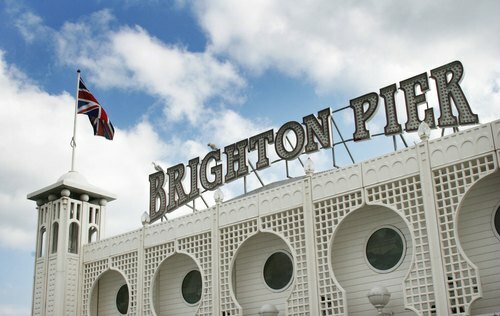 Be sure to check back for more info as the Brighton & Hove Business Awards draw closer!